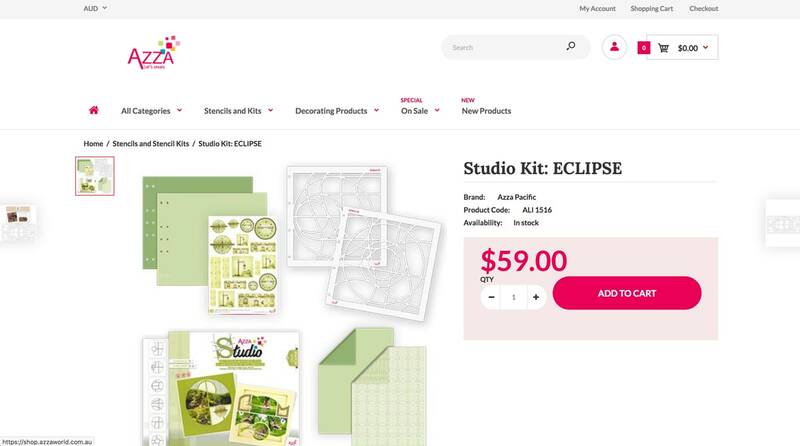 The great team behind AZZA Scrapbooking in the Pacific area needed both a presence, and platform, that better highlighted and faciliated their products and services. 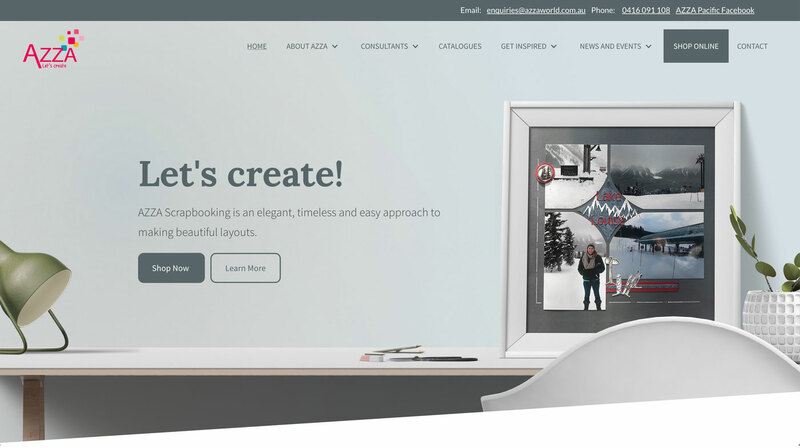 As a growing brand in Australia and around the Pacific, the existing AZZA website and shopping experience wasn't a consistently positive experience for their consultant base. The previous setup also didn't welcome potential new customers through the setup and design. 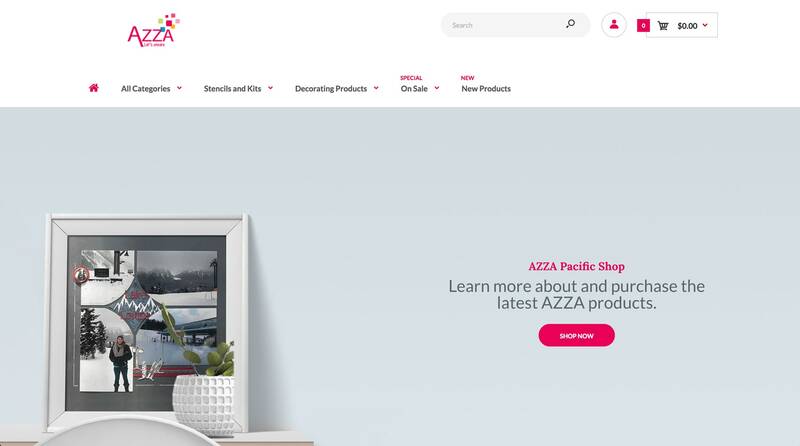 The new AZZA Pacific online experience, featuring both a new website and online e-commerce shop, launched on the 1st July 2018. 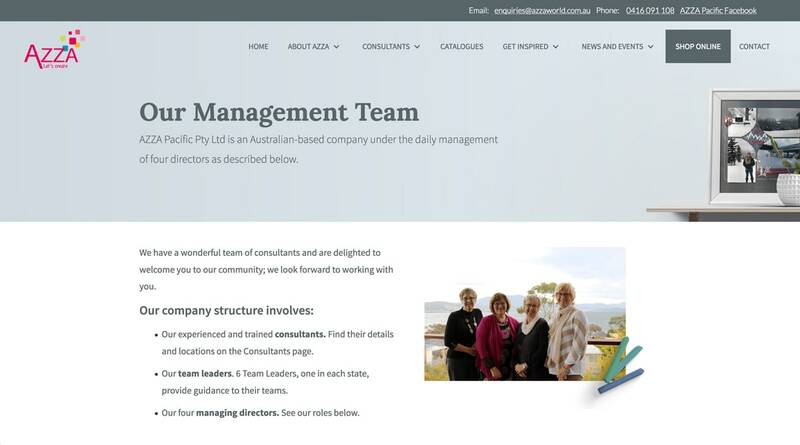 The website is setup in Webflow, and caters for the functional arm of AZZA Pacific. Through the inbuilt content management system (CMS) and following training from Domin8 Designs, the website allows AZZA team leaders to update their consultant and customer base on the latest news, upcoming events, the most recent catalogues, as well as sharing some of the beautiful new layouts and more. Sitting along side this is the AZZA Pacific Shop, setup using Shopify. AZZA's requirements extended beyond what Shopify in itself could provide beyond the shop experience, which is why the dual system was chosen - however, we used a subdomain and consistent images, colours etc. to try to make the experience as seamless as possible. Both surprisingly and excitingly for Domin8 Designs, the AZZA Pacific team and community have embraced the update and the efficiencies - both in backend and aesthetics - it brings. The AZZA team are proactive in updating all aspects of both the website, and shop, enabled by the easy of both platforms. In a big step for us here, we did video tutorials on how to do most updates across the website and shop so that the AZZA ladies can always refer back to a point if they need a reminder. Since launch, the AZZA website has been visited nearly 2,000 times with 6,500+ page views. As a collaborative approach moving forward, Domin8 Designs is assisting AZZA to maintain and continue to grow their online presence through new additions to the shop, website and some potential videography work. This was a huge step for Domin8 Designs, who'd like to thank AZZA for their patience and willingness. A short, exciting video demonstrating the training routine, commitment and context that forms one of Tasmania's emerging junior sprinters - in order to attract potential sponsors in Malaysia and internationally. Sandra engaged Domin8 Designs to redevelop her existing website, so that it better reflected the values embodied in each and every SRC ceremony.